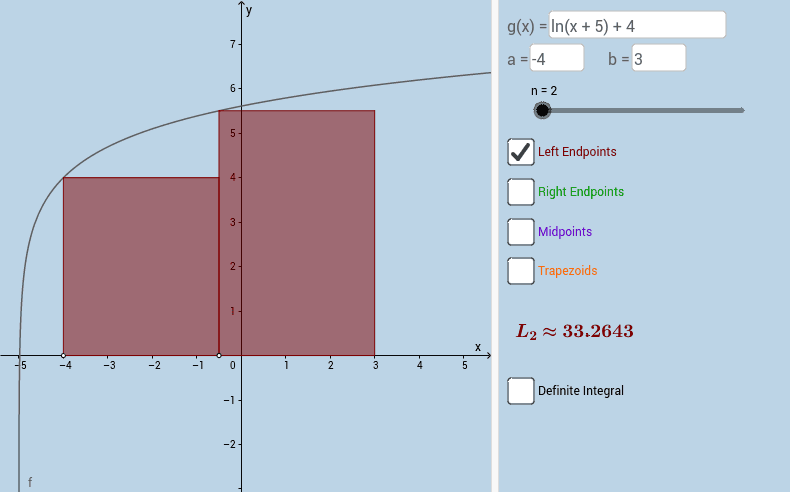 Same as Definite Integral Illustrator (I), yet this applet includes trapezoidal approximations. Note: This applet only generates nonnegative areas. Thus, incorrect values will be displayed for any areas underneath the x-axis.